The kids fluctuated with their costume ideas straight through last week when Merritt discovered a set of alligator slippers among the many boxes yet to be found a home, and Roscoe fell in love with light sabers. 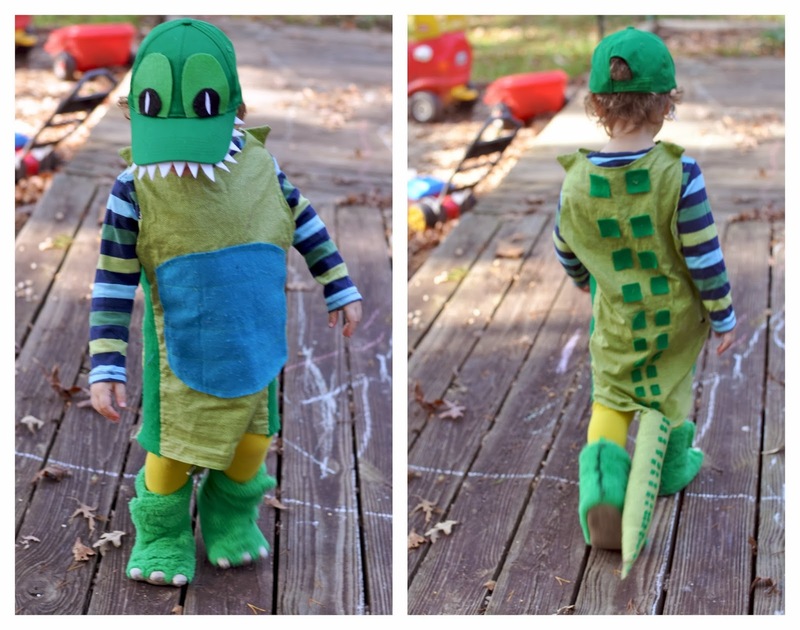 Merritt's costume is a home-made-hand-me-down from Roscoe's third halloween, which made my work easy this year. 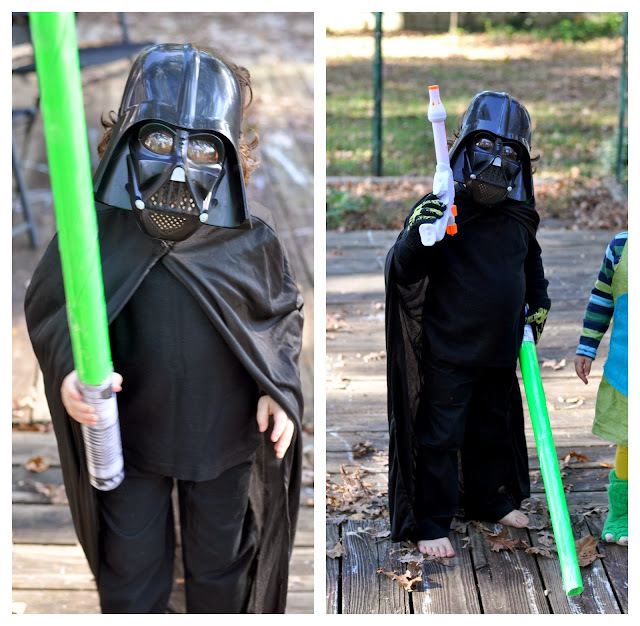 Roscoe's costume was semi-homemade: a toddler sized mask and cape, a pair of black pants and a shirt, and this easy tutorial for a do-it-yourself light saber.